After spending thousands of hours in the garden with all the scars to prove it, we went on a hunt to find the best gardening gloves available on the market. Tired of puncture wounds and scratches on our hands and up and down our arms, we tried out a number of different gloves until we found the right ones. During the process we pruned rosebushes, trimmed hedges, plucked out an endless amount of weeds and planted small seeds. Read through our garden gloves reviews to find out which gloves came out on top for all of our gardening tasks. Extended split suede cuff prevents cuts on the arms allowing you to deadhead your roses painlessly. These are considered by us the best gardening gloves on the market! Our top pick for the best gardening gloves went to the Rose Pruning Gloves by Exemplary Gardens for men and women. This brand offers the most protection against thorns and prickly leaves and stems with a long gauntlet. Our hands and arms came out completely unscathed after hours of gardening. These gloves were also able to handle the smaller tasks and we were able to pick up small seeds without a problem at all. 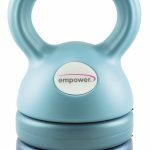 Priced very reasonable right now at Amazon, they are our top pick. According to customer reviews, they have been given an excellent rating by hundreds of customers. This is an almost perfect score for an almost perfect pair of gardening gloves. Find out more about these amazing gloves in the review below. When you’re looking for value for the money, reach for the Professional Rose Gardening Gloves by MAGID. They also come with a gauntlet that extends up to your elbows for superb protection against anything that comes your way. You no longer have to fear the thorns and prickles in your garden and you’ll be able to do any gardening tasks with 100% confidence. These gloves are moderately priced and for the money, you won’t be able to find anything else that compares in quality.. When you want to get your money’s worth out of a new pair of garden gloves, these are the ones to check out first. Find out more about the best garden gloves for the money in our full and unbiased review below. Don’t let your garden suffer just because you are working on a budget. 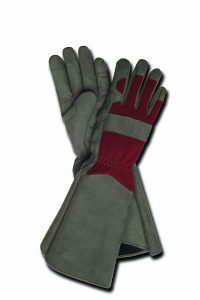 These nitrile coated garden gloves by G & F are priced right without sacrificing on quality. These are form-fitting gloves that keep the dirt out of your hands so that you can dig deep into the garden without dirt grinding its way into your hands and under your nails. 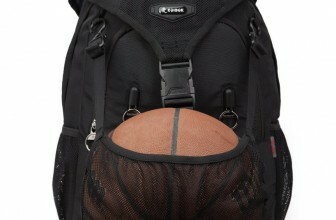 You’ll receive a package of 6 pairs of gloves and each pair can be used over and over again. The majority of purchasers have been more than happy with these gloves and if you don’t have the funds available to invest in a higher-end pair, these ones are certainly worth the money. Find out why these are the best garden gloves when you’re short on cash in our budget-friendly review below. Gardening is supposed to be a relaxing and enjoyable hobby. You can make it that way with the right pair of gloves. Don’t get punctured by thorns and scratched by branches when you’re working away in your outside sanctuary. Use the right gloves and you’ll be able to enjoy your time in the garden. As well, you won’t want to have to spend a lot of time scrubbing away at your hands and nails after an afternoon outside. In order to keep your gardening as a calm and enjoyable hobby that keeps you connected to the wonders of nature, you’ll need the perfect set of gloves by your side. If you find that gardening is becoming a chore rather than an exciting time creating something beautiful, it may be time for a new set of gloves. There isn’t only one kind of gardening glove that’s perfect for everyone and everything. What works the best for you will depend on how much you are willing to spend and what you are planning to do with the gloves. Generally speaking, however, there are a few additional things to keep in mind before making a purchase. You’ll need to look at the price if you’re on a budget, whether you need gloves that extend up to your elbows and you should also consider the durability of the material. If you are going to be handling prickly bushes, you’ll need to get gloves that offer great protection while at the same time providing flexibility. If you are only going to be working with flowers and plants that don’t pose the threat of scratching or puncturing your skin, you should look for gloves that keep the dirt out while keeping your skin soft. The perfect garden gloves should offer a perfect balance between durability and comfort. If your gloves aren’t very comfortable, you’re less likely to wear them. On the other hand, the most comfortable garden gloves are usually much less durable. While cotton gloves are very comfortable and soft, they don’t provide a lot of protection. Leather gloves can prevent puncture wounds and scratches but they aren’t breathable or flexible. Fortunately, you can have it all in terms of garden gloves. During our search we have found the best gloves that offer both protection and flexibility. When you can find both of these features in one set of gloves, you have pretty much found it all. Working in a rose garden comes with its own set of challenges. There is no doubt that the rose flower itself is absolutely beautiful but a lot of people shy away from adding it to their gardens because of the thorns on the stems. With gloves you won’t have to fear working with roses any longer because you will be covered. These pruning gloves are the best overall gardening gloves you can own. They are perfect for rosebushes and other thorny plants but you can also use them for all of your gardening needs. They are a long glove that provides protection for the hands and the arms while giving you all the flexibility you need to handle general garden duties such as weeding. Made from 100% natural goat grain – Keep your hands protected with premium goat grain that provides unparalleled puncture resistance. Whether you’re working with rosebushes, greenbrier vines, blackberry bushes or cacti you won’t have to worry about punctures or scratches when you wear these gloves. Dig deep into the bushes and get things done with these gardening gloves that extend up the arms for maximum protection. Flexible and pliable – Although these gloves are rough and tough they are also flexible and pliable enough to do even small jobs such as planting seeds. Whether you are getting down and dirty pulling weeds beside a large bush or planting small seeds that will bloom into stunning flowers in the coming months, all of your gardening tasks will be covered with these gloves. Extended suede cuff – This extended cuff is a must-have when you’re working in the garden. The cuff reaches up to the elbows with cowhide suede to provide the perfect buffer you need for your forearms. Go ahead and deadhead your roses without fear! Added lanolin for a softer texture –Your hands won’t feel rough or blistered after you’ve been working out in the garden for a few hours thanks to the added lanolin. These rose pruning gloves feature a buttery soft feel so that your hands remain moisturized and supple. In fact, these gloves are so soft that they almost feel elegant. 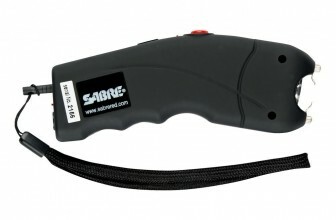 Easy grip features – You’ll love the ergonomically-designed thumbs that make gripping a garden tool a breeze. If you have arthritis, these are the gloves that you’ll need to wear when you’re digging around in the garden. This set of gloves works great when you’re working with any type of flower or plant with thorns. You’ll be able to do your gardening with full confidence with these gloves on your hands and best of all the soil doesn’t soak into them. Poison ivy, sumac and poison oak are no match for these gloves because they provide such amazing protection. One thing you will want to consider when ordering these gloves are your hand size. Most people purchasing them find that they are great for medium hand sizes since they do tend to fit a bit small. If you have a medium-sized hand, the large should fit well without having to worry about floppy fingers. If you’re looking for gloves that will provide the best value for your money take a look at the professional rose gardening gloves by MAGID. These gloves provide soft yet thick protection in the palm, fingertips and wrist without compromising on dexterity. They are comfortable gloves that are durable enough to stand the test of time without sacrificing comfort. 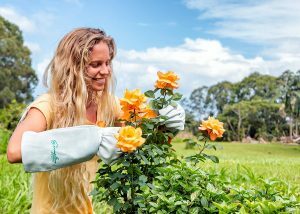 You’ll be able to prune your roses and do your weeding with these amazing gloves that can withstand a lot of wear and tear. Puncture-resistant – These gloves come with a padded and synthetic, leather palm along with reinforced fingertips so that you can dig away at the earth and the thorns without worry. Whether you are a professional rose gardener or enjoy gardening as a hobby, these gloves provide all the protection you’ll need against thorns and prickly bushes. Comfortable, durable and strong – When you’re looking for a comfortable glove that you can wear for a few hours at a time that also offers strength and durability, take a look at these gloves. The added protection on the gloves does not hinder their flexibility so you’ll be able to do a number of different jobs in the garden with them. They will become your go-to gardening-gloves for both challenging and easy garden tasks. Long gauntlet cuff – The extra long cuff keeps your forearms protected from scratches and cuts. The gloves will reach just about up to your elbow since they are approximately 15 inches long on the backside and a bit shorter on the front side. You’ll be able to reach deep into your rosebushes without having to worry about getting pricked or scratched by the thorns. 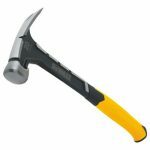 Knuckle guard protection – If you’re like a lot of gardeners, you’re constantly getting pricked in the knuckle area on your hands and fingers. It’s as though the thorns are zeroing in on the areas where your fingers and hands bend the most. You’ll appreciate the knuckle guard protection offered with these gloves and seldom found on any other gardening gloves. Spandex back – Enjoy maximum comfort with the spandex form-fitting back. This feature will give you more dexterity when you’re working in the garden and you’ll find that things are easy to grasp with this rose glove that’s a little more form-fitting than most. As with most gardening gloves, you’ll need to watch the sizing since this seems to be the main complaint about the gloves. These professional rose gloves tend to perfectly fit an average sized woman’s hand so if your hand size is smaller or larger, make sure that you take this into account. 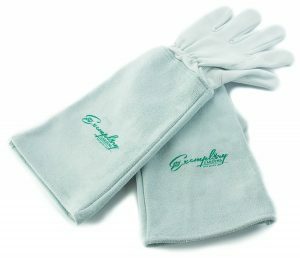 Otherwise, most people using these gloves report that they can tackle major garden tasks including pruning rosebushes without a problem. These are the gloves that you’ll be counting on every time you head to the garden. Make sure that you keep them handy in your tool shed since you’ll be using them for a variety of garden tasks and not only on your rosebushes. 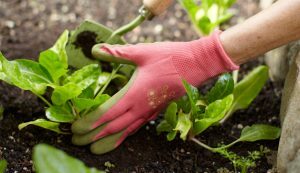 When you’re operating on a strict budget you’ll still need to have gardening gloves by your side when you’re working in your flower bed. Fortunately, there are some great gloves available that are affordable, strong and extremely flexible. In fact, many gardeners choose these gloves even when they have the money to spend on higher-end gloves. As an added bonus, these nitrile-coated garden gloves come in a pack of 6 pairs and you can reuse them time and time again. Nylon gloves with a nitrile coating – These gloves are made from 100% breathable nylon and covered with a nitrile coating. Nitrile is a perfect compromise between vinyl and latex. It is a compound that is allergy-safe and while it feels a lot like latex, it certainly isn’t. If you have a problem wearing latex gloves, you won’t have to worry with these. The gloves are extremely comfortable and are safe for people that react to latex. Like wearing a second skin – You’ll love the feel of these gloves both inside and out. While they make you feel like you’re wearing a second skin, they are not tight at all. You’ll appreciate the snug fit around the wrist that prevents any dirt from getting into the gloves and underneath your fingernails. 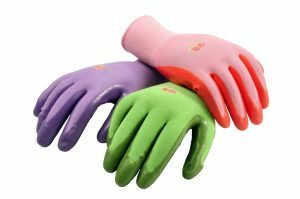 Come in assorted colors – When you place your order for these nylon gloves you’ll receive 6 pairs in different colors. You’ll get 2 pink pairs, 2 green pairs and 2 purple pairs. You’ll never get bored when you’re gardening with these bright and cheery gloves. Fit most sizes – These gloves are available in a size that fit most hands so you won’t have to worry about taking measurements before ordering them. Since they are snug fitting, you won’t have any problem picking up your smaller gardening tools or placing your fingers around weeds to pull them up. Great price – Since they aren’t disposable gloves, you’ll be able to use them over and over again. For the money, they provide excellent value and allow you to dig in your garden without breaking the bank. You’ll have 6 pairs to work with so you can expect them to last for years. These gardening gloves should never be kept in a hot shed or garage because they can end up slightly melting and sticking together if they aren’t being used. Find a cool place to keep the extras that you aren’t using to keep them intact. These gloves are also machine washable but they shouldn’t be placed in the dryer. Simply take them out of the washing machine and lay them out to dry. In the meantime, while you’re waiting for one pair of gloves to get washed, you’ll have plenty of other pairs to choose from. When you’re working on a budget, these are excellent gloves that you can count on time and time again. 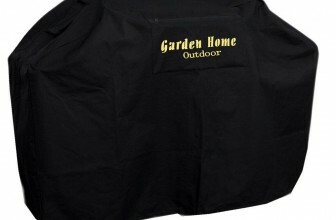 Garden gloves are an essential tool for any gardener. You’ll use these gloves more than you will most of your other gardening tools and will come to rely on them for protection. While it can be tempting to spend less on your gloves to save money, think about how much you are really going to be using them. They will probably be the first thing you reach for before heading out to the garden. While you can certainly buy $2 dollar cotton gloves, don’t count on them to get the job done. Once you start working in the moist earth you’ll find yourself running out to buy a better pair. Cheap gloves simply can’t handle thorns and other prickles and you may just find yourself spending less time doing what you love to do due to low quality garden gloves. All of the gloves mentioned above don’t cost very much at all and you’ll really appreciate them once you start digging around in your garden. When you’re placing an order for a pair of gloves, make sure that you select the right size. The gloves listed above will fit an average woman’s hand size so if your hand is smaller or bigger, be sure to take this into consideration. There are other sizes available in the Rose Pruning Gloves by Exemplary Gardens. The right size will make all of the difference when it comes to your gardening efforts. As well, think about what you are going to be using the gloves for. Do you have rose bushes to prune? Are you fighting against raspberry bushes that are spreading out in your garden and leaving no room for the tomato plants you are growing? If so, be sure to get gloves that cover both your hands and your arms so that you have full protection. 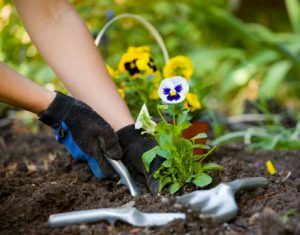 If you’re only tending to a small flower bed, on the other hand, gloves that only reach up to your wrist will certainly do the job. We are proud to bring you these 3 reviews of the best garden gloves available on the market today. With so many different gloves available, you’ll appreciate our helpful suggestions and be able to narrow down your selection quickly and easily. With so many gloves on the market, it can be quite difficult to zoom in on the right pair for you. Now you can check out our recommendations and see which ones will help you create the garden of your dreams.